Written by Janet Choi on May 21, 2015 . 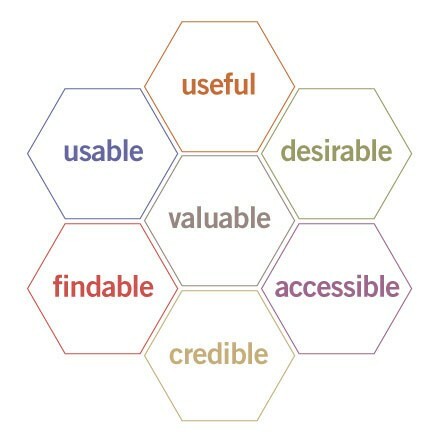 Useful: Is your product ultimately useful? Are you helping people get something done or make progress towards a goal? Usable: Is your product easy to use? Desirable: Does your product build emotional affinity? Is it likable? Findable: Is your product easy to navigate? Accessible: Morville defines accessibility in regards to people with disabilities, there are other access considerations, such as language barriers, stress levels, perception of safety, and low confidence. Credible: Does your product build trust? Valuable: Does your product deliver value and advance a mission? All your emails should serve a clear purpose, not only to nudge users to do what you want them to do, but to drive their user experience forward. Then they play an incredibly powerful and vital role in your business — bridging UX gaps in your product and addressing the UX of basic everyday life, where busy people won’t remember to return to your site or app. Note this last email in this interaction. There’s a “Review” button that appears in the inbox. 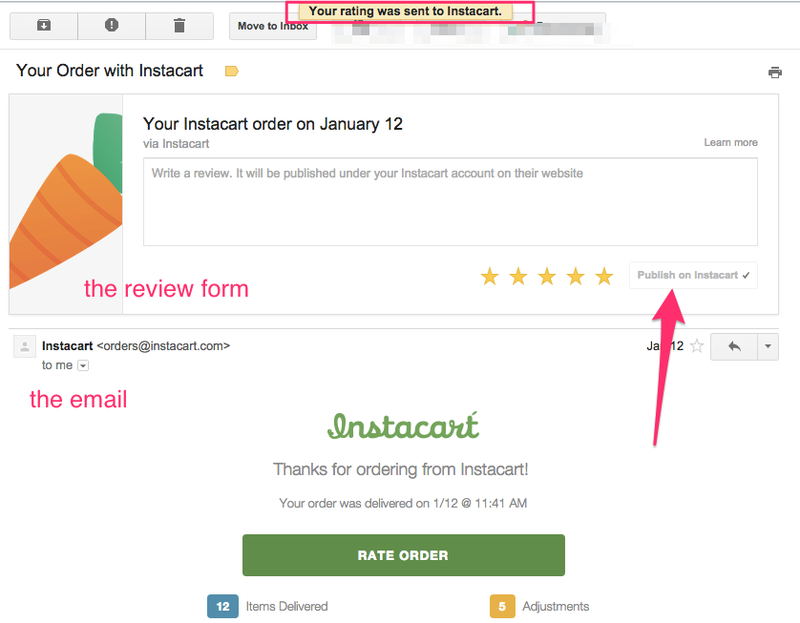 Clicking on that allows you to send a review and rating without ever leaving the inbox or even opening the email. If you do open this email to check out your order, you can still publish a review without leaving the email client: With your fridge freshly stocked, chances are lowest that you’ll want to go back to the site just to leave a review. By incorporating email messages into the whole user journey, Instacart is able to build towards both customer and business happiness.